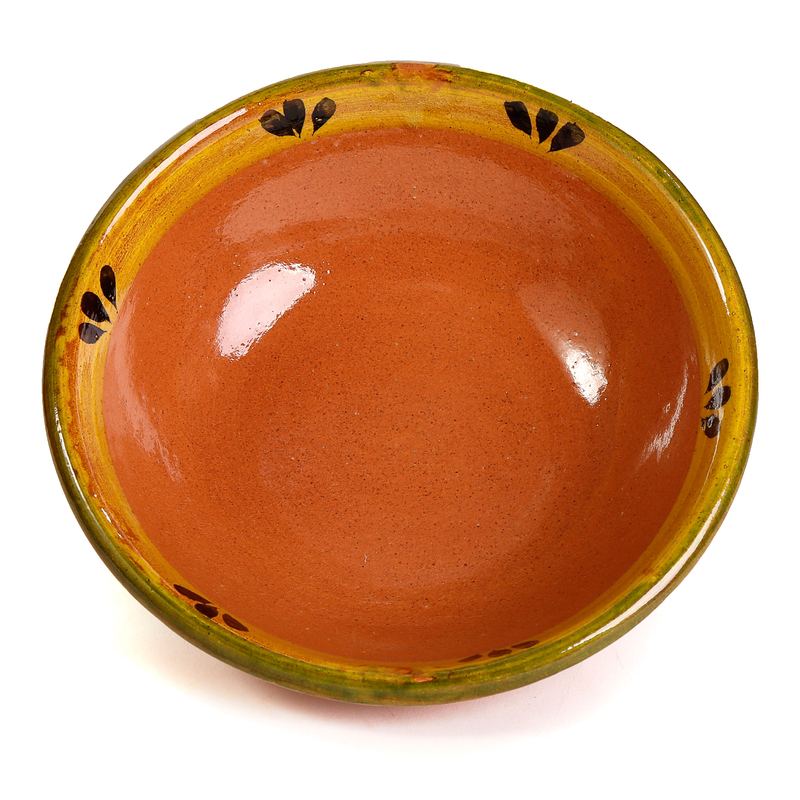 Our hand-made Mexican Clay Soup bowl is an excellent way of adding a rustic touch to an elegant table. Length 8in, Width 8in (from outside), Height 2.25in, Diameter 7.5 and Capacity 20oz (filled comfortably without overflowing). The natural terracota clay color is combined with a translucent yellow and green rim, which together with our hand-made clay plate (sold separately) make a great presentation. A Mexican Clay Cazuela is not only beautiful, but also quite sturdy and will last many years with proper use and care (each piece comes with a product information sheet outlining the Uses and Care for the product). As with other clay cookware, the flavor of the food cooked in it actually improves with use. Completely natural and safe, contains no toxins or lead. In the semi-desert region of Hidalgo, Mexico, our cazuelas are made by hand by artisans whose craft has been handed down for several generations.